We have had the pleasure to taste the amazing meals offered by both Kettlebell Kitchen and Grandcestors and we completely understand if you are having a hard time deciding between the two. In this Kettlebell Kitchen VS Grandcestors comparison, we highlight all the strong and weak points of these two popular services in order to help you find out which one better suits your individual needs and which one is objectively superior to the other. 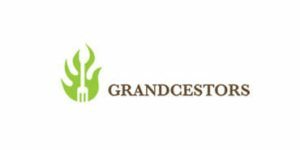 Grandcestors is a Paleo meal delivery service that delivers ready-made meals inspired by the caveman diet. You can choose from over half a dozen meals on the menu and have them delivered right to your doorstep. If you are on the Paleo diet or want to give it a shot, read our objective Grandcestors review and see whether it is the right choice for you.